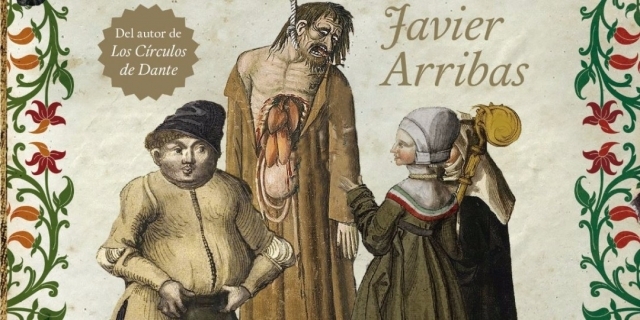 The new work by the Madrid writer Javier Arribas, author of the successful "Circles of Dante ', focuses its history in the Middle Ages and around the Camino de Santiago thirteenth century. Arribas describes his second novel, 'The good death', as "a kind of road movie, walking and in the Middle Ages". The writer has spent more than 3 years to document and write the story of his novel, centered on the adventures of Guilhem, an executioner of the French Gascony.Guilhem flees his city, in the French Gascony, after finding documents enigmatic among the belongings of a executed. Despite being executioner, the fact is that this young man had a rather quiet life, except for his brutal work and contempt of neighbors. He is suddenly involved in an intrigue and political struggle to execute an inmate. Guilhem is accused of murdering his apprentice ... someone wants to take it away from the middle, so he decides to flee. It does so through a 5 pilgrims with whom he meets, led by the Italian Ruggero. Guilhem decides to accompany them in the so-called Via Francigena. You will discover friendship, solidarity and love, but also betrayal and lies.The work stands out for the excellent documentation, and is a reflection of the different characters that populated the Camino de Santiago in the thirteenth century.